When it comes to outdoor grilling and cooking over a fire, South Africans can't be beat. The South African braai, otherwise known as barbecue to North Americans, consists of a built-in-place, outdoor brick structure in which a fire can be made and then cooked over on a custom fit grill. You can build your own in a day to turn your backyard into an entertainer's paradise. In South Africa, a 'boma' refers to an enclosed entertainment area. Now you can braai just like a South African. Select a site to build your braai. This should be a flat area measuring about 2 feet by 4 feet. Lay down a layer of bricks to form the foundation of your braai; this should be a layer of bricks set in mortar, side by side and end on end to cover the area of the planned braai. Build up the back and the two sides of your braai. Build the three walls as high as you wish the braai to be. Build up an internal wall parallel to and to the same height as the two end walls. This is made to divide the braai into two halves, one for cooking and one for wood storage to feed the fire as necessary. 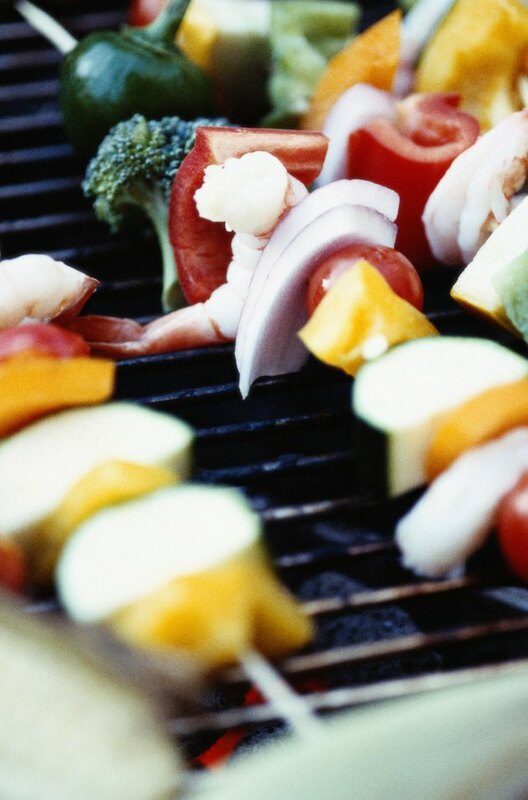 Place your 2-foot-by-2-foot wooden plank over the left side of the braai. This will act as a work surface you can use when cooking; it will also cover the wood storage area just under it. It would be a good idea to select a good quality piece of wood for this, as it will become a visual element of the grill. Build up the front-facing wall on the right side of the braai. Build this side, which should be parallel to the back, one layer of bricks shorter than the other walls; this will allow for the placement of the grill. Fill the cavity with sandy soil up to a level 10 inches lower than this wall. Lay a layer of bricks around the inside perimeter of the right side of your braai on top of the sandy soil, flush with the front brick edge. These bricks will be used to support a 2-foot-by-2-foot grill all around its edges. Lift the grill out, fill the cavity with wood, start a fire, replace the grill and cook over the coals just as you would with a wood-burning barbecue.